Home / COMEDY / Scream, Laugh Your Heads Off with "Scouts Guide to the Zombie Apocalypse"
Scream, Laugh Your Heads Off with "Scouts Guide to the Zombie Apocalypse"
Directed by Chris Landon (writer of “Disturbia”), the film follows the story of three scouts and lifelong friends who join forces with one badass cocktail waitress to become the world’s most unlikely team of heroes. When their peaceful town is ravaged by a zombie invasion, they’ll fight for the badge of a lifetime and put their scouting skills to the test to save mankind from the undead. 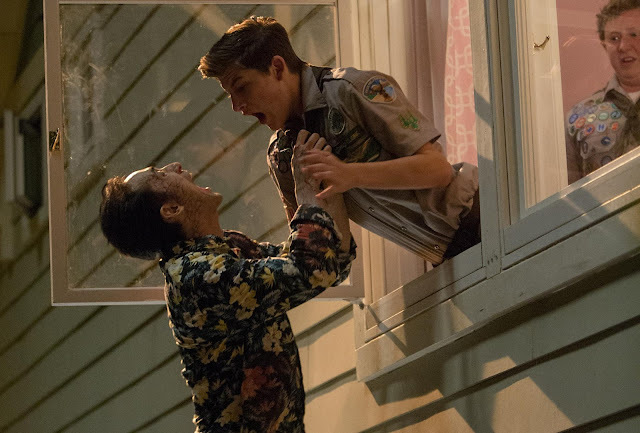 “Scouts Guide to the Zombie Apocalypse” stars Tye Sheridan, David Koechner, Cloris Leachman, Halston Sage, Logan Miller, Joey Morgan, Sarah Dumont and Patrick Schwarzenegger.